At Royal Marine Hotel, we want to give you a special day that you, your friends and family will never forget. We cater for small and large weddings, accommodating up to 60 guests in the Sutherland Suite followed by dancing in The Garden Room and alternatively up to 150 guests for a meal and 200 evening guests in our large indoor marquee. And if you’ve always dreamed of a fairytale Scottish castle wedding, you can hold your ceremony at the magical Dunrobin Castle just five miles away, a truly romantic location filled with French towers, landscaped gardens and coastal views. We can make arrangements for you to hold your ceremony there, before returning to Royal Marine Hotel to continue the celebrations. 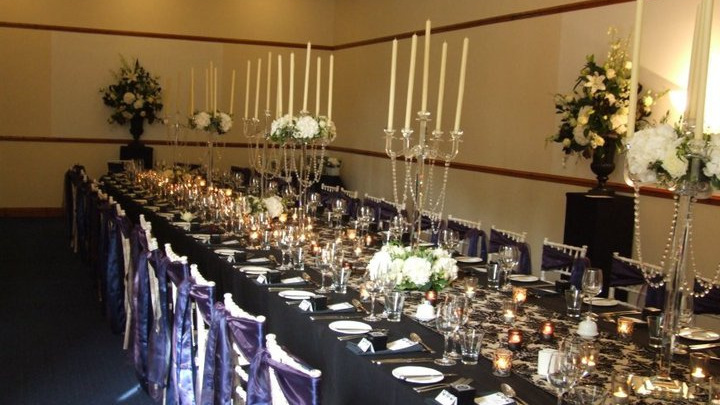 Our dedicated team will provide a comprehensive service to you, tailored to your idea of a perfect wedding. From floral arrangements to musical entertainment and horse-drawn carriages, we’ll use our expert local knowledge to help you find everything you need for your big day. Guests can relax before the big day with a round of golf at Brora Golf Course just metres from our Hotel, a day of trout fishing on Loch Brora or enjoy one of the many Outdoor Activities available in the area. For the ladies, relieve any last minute nerves with some relaxing Beauty Treatments at the hands of our in-house beauty team at blisss. On the morning of your big day, we can arrange for the in-house beautician and a hairdresser to provide hair, makeup and nails services to the wedding party. We hold a marriage licence to allow ceremonies in the Hotel, or if you prefer a church service or alternative location for making your vows, we can ensure that happens too. Our chefs will work with your requirements and within your budget to provide a tailored dining experience for your guests - from a sit-down meal to a buffet or informal BBQ. We also have a large selection of champagne, wines, beers and spirits to ensure that your guests’ glasses never run dry. After a day – and night - of celebrations, the new Mr and Mrs can wave in their first day of marriage with friends and family with a hearty, traditional Scottish breakfast or smoked salmon and champagne. For those who want to continue the celebrations, we can host an informal BBQ on our lawn or a drinks reception in our lounge. Or if you simply prefer to relax, enjoy one of the many outdoor activities available. We can even arrange a day trip for you and your wedding party – just ask our staff for details.